Silvery young leaves with yellow down carried on purple shoots make a striking feature in spring. 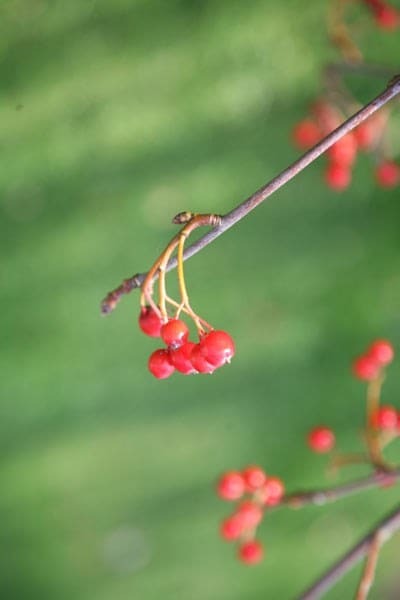 The foliage remains grey-green throughout the summer, with bunches of white flowers in late spring and dark red berries in autumn. 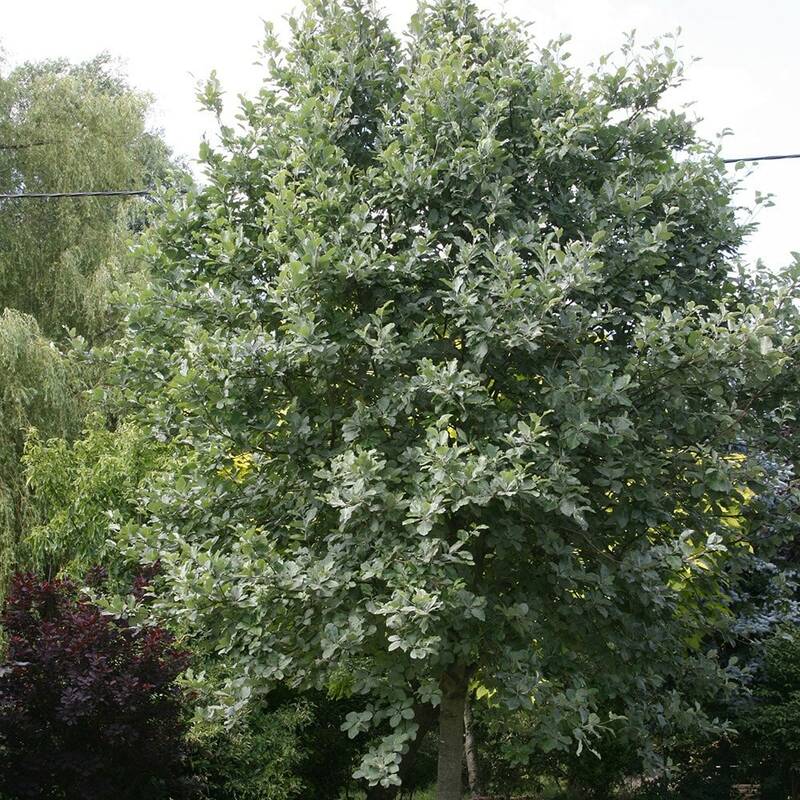 An attractive tree for the garden as it maintains its compact size and shape. My sorbus lutescens is four years old and looks fine with lots of healthy foliage, but it has failed to flower two years in a row, and therefore no berries either. I have poor, sandy soil but have fed/watered/mulched the tree. What should I do/not do, to encourage it to flower next year? Hello, The most likely causes of a lack of flowers is not enough sun water or nutrients. Most parts of the country have had a very dry spring, so this may be having an effect - particularly as you have sandy soil. 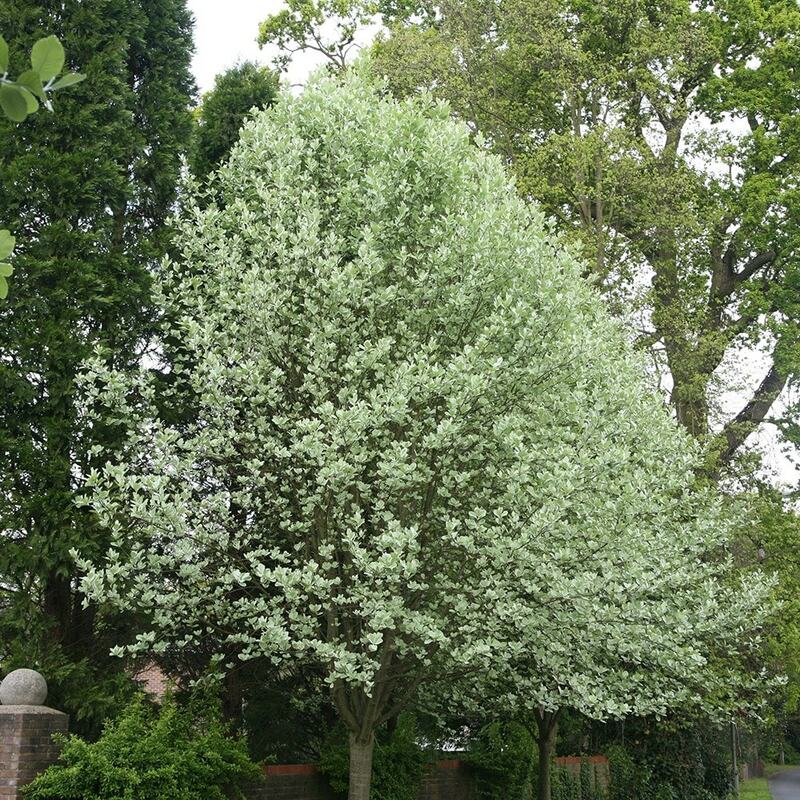 You could also give it a feed of Sulphate of Potash to give it a push in the right direction, and if its possible, cut back any overhanging branches that block its sun. After 18m in well drained soil, all the leaves on my whitebeam have died overnight (mid July)after the 3 week 'heatwave'. I have watered daily since, but there is no sign of any new growth - is there any chance that the tree will return to life next year, or what might have caused the plant's sudden demise? Hello, A lot of plants have really struggled with a lack of water during this hot weather, so the tree may simply have dried out. If the damage is not too severe, then it may come back in time, but it will take weeks (or months) rather than days. These plants however are prone to a few diseases, some of them quite serious. One (fireblight) will cause sudden wilting, but this usually affects one or two branches at a time rather than the whole crown. This die back is often accompanied by sunken areas of bark on young stems and when peeled back, you may see a reddish brown discoloration in the wood. The best course of action if you have this is to cut back all the affected stems to healthy wood. If the whole crown is affected though, there is little hope of recovery so it should be removed.